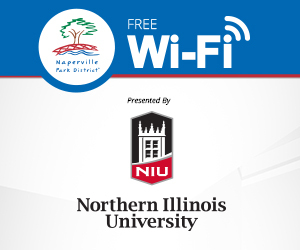 In 1831, Captain Joseph Naper journeyed westward from Ohio and discovered the wooded banks of the winding DuPage River. He gathered together his family and a few other pioneer families and built a cabin and developed a saw mill and trading post. This marked the beginning of Naperville. George Martin was the first man to use the land we now know as Centennial Beach. He originally started digging for limestone on the edge of town in 1833. Much of the limestone was used in building foundations around town and can still be seen throughout much of the architecture today. In Naperville, the quarrying of stone was the chief industry. Steam pumps worked constantly to keep out pure spring water so the stone could be quarried the next day. The site that is now known as Centennial Beach was quarried until 1913 when the water from natural springs from beneath the surface began leaking in. In 1931, Naperville resident Judge Win Knoch proposed the purchase of the original Von Oven property in honor of the city’s 100th birthday. The parcel included 45 acres and two abandoned quarries on the western edge of town. The name “Centennial Beach” seemed an appropriate acknowledgement of the fact that the land was gifted to the city for its centennial celebration. During the height of the Great Depression in the 1930s, a permanent memorial committee was appointed to oversee the acquisition and development of the land. It consisted of Chairman Judge Win Knoch, William R. Friedrich, E.J.T. Moyer, John W. Bauer, T.F. Boecher, Sr. and Dr. C.S. Whitehead. The committee and local citizens funded the purchase of the land that became Centennial Beach by each contributing $500 for a total donation of $16,500. Development of the land parcel as a swimming facility began in 1932 with the assistance of the Works Progress Administration (WPA), which facilitated its construction. Centennial Beach was opened for public use later that same summer. When the Beach first opened, Naperville residents enjoyed free admission. Many Beach goers also traveled from miles away, some by train, just to swim at the facility. Admission fees were 10 cents for children and 35 cents for adults; the fee increased to 50 cents on holidays. The first year the Beach was open, it brought in more than $6000 in revenue. 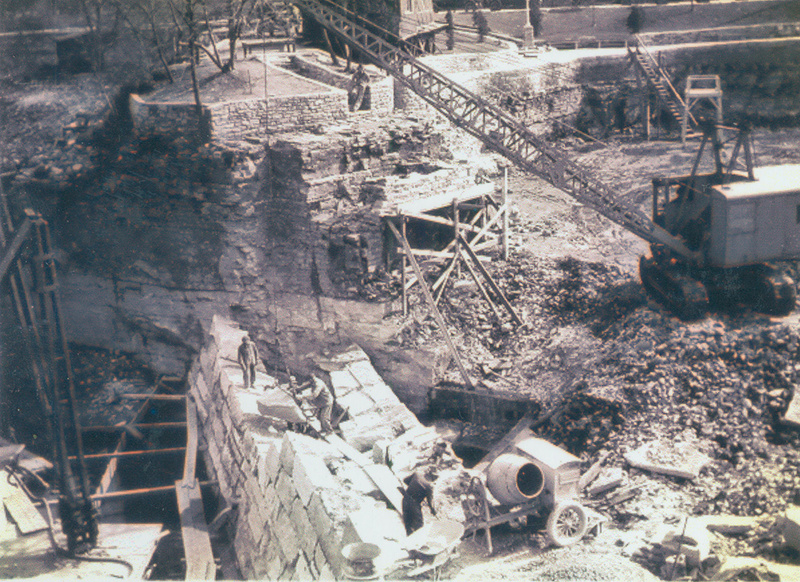 In 1934, the Works Progress Administration (WPA) completed the bathhouse, built from limestone taken from the quarry at the facility’s western edge. The completed bathhouse had stone steps leading down to the swimming area. The shallow section included a sandy area and the deep section had three anchored rafts, a 12-foot diving tower, two spring boards and one lifeguard stand. The Beach’s first water show, known as an Aquathon, was hosted to honor the completion of the bathhouse. The Aquathon showcased the talents of community members performing comedy water ballet, water skiing, synchronized swimming and more. 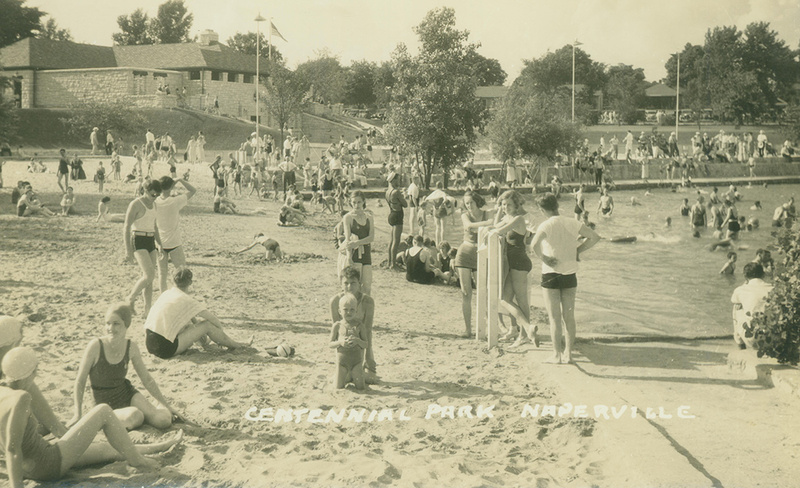 In 1969, the Naperville Park District, which was organized in 1966, assumed responsibility for Centennial Beach, taking it over from the City of Naperville. Years of use had led to the facility’s deterioration, and at the time, the Park District considered plans to limit the Beach to the activities of boating and fishing. In 1970, a “Save the Beach” committee comprised of 34 members of the community was divided into five subcommittees that evaluated the Beach and determined what could be done to restore it. In December 1970, a report was presented to the Park Board, which ultimately decided that the Beach was worth saving. As a result of the findings, the deep end of the facility was drained for the first time in years and workers removed debris from the bottom. In the mid-to-late 70s, redevelopment work on Centennial Beach continued. In 1976, the diving area was renovated and in 1977 a new circulation and chlorination system was introduced. In 1981, the Beach celebrated its 50th anniversary with a re-creation of the Aquathons of the 1950s. Also, a big rock, buried in 1931 as a time capsule was removed. Many of the items taken from the time capsule were virtually un-recognizable. The content included: a Naperville homecoming book from 1917, a centennial medal, a copy of the North Central College Bulletin and a letter from Judge Win Knoch, which was the most cherished of the artifacts. In 1999, a Beach Steering Committee began to explore possible facility enhancements. Although few changes occurred at that time, the information gathered paved the way for more than $2 million in renovations made from 2002-2004. Improvements included new concrete decks, a new circulation system and lighting, new staircases leading to the bathhouse and water play features. Centennial Beach celebrated its 75th anniversary in 2006. Prior to filling the Beach for the season, the Park District hosted “Bottom of the Beach” tours that gave guests a unique perspective of the facility. The “Bottom-feeder Ball,” a unique, semi-formal dinner event at the bottom of the Beach, raised money for the shallow-end slide installed in 2007. 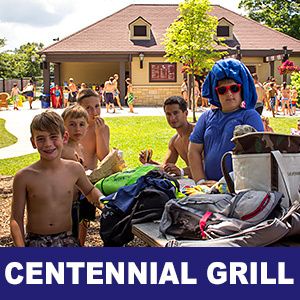 In early July, Centennial Beach hosted a free, day-long anniversary celebration that featured an Aquathon show, contests and entertainment. In 2008, the Park District began exploring the feasibility of making significant enhancements to the facility. Assessing ADA accessibility and soliciting feedback from Beach patrons was an important part of the two-year planning process. In 2010, the project plans were finalized and renovations began immediately after Labor Day. One of the top priorities was to preserve the historic bathhouse and much care was taken to ensure that its character remained intact. Enhancing the facility’s safety and the overall experience through the addition of family locker rooms, a separate concessions building and many other improvements became part of the sweeping renovation plan. As intricate and ever-changing as Centennial Beach’s history is, there are several rich traditions that remain virtually unchanged over time. At the core of what makes Centennial Beach unique is the lifeguarding staff. 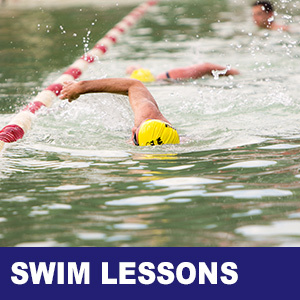 Each season, they undergo rigorous training in water safety and lifesaving skills. Each possesses certifications in first aid, CPR and SCUBA. This team’s collective skills and knowledge are put to the test annually, and their achievements have been recognized through numerous awards. 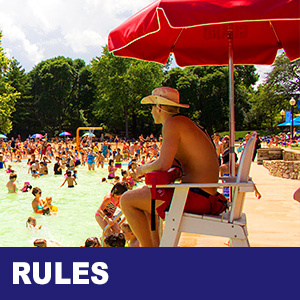 Each season's lifeguards develop a special bond. Up until the 2010-2011 renovations, each year, the guards would create their own special artwork or "graffiti" in the bathhouse to document memories of the summer. The earliest graffiti dates back to 1967 and these designs became the legacy of each season. These mementos have been preserved through photography and displayed in the staff areas. 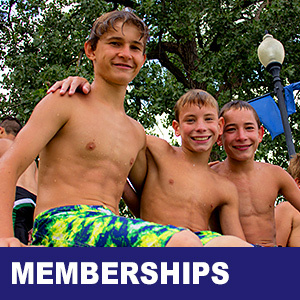 Organized in 1971, the Mudrats Swim Team calls Centennial Beach “home.” This group of amateur swimmers, from ages 4-18, enjoys competing against the other Naperville Swim Conference teams each summer. Historically, a visit to Centennial Beach has been more than just about swimming – it’s a real social occasion. With the expanse of grass and beautiful shade trees, it’s also a great place to enjoy a family picnic or a game of cards – something that the “Beach Bums” (a beloved group of longtime Beach guests) have been doing almost daily for many season.